Maybe I'm just a fan of pizza places in Charleston. We went to Lola's for my final dinner in Charleston, and we hoped it would be a great end note to my trip. It was. Parking seems to be scarce, but we luckily got a spot right up front. It was very busy on a Saturday night, so we walked into the small house, gave a name, then went outside to wait. Outside is a small porch with one or two tables and a couple benches. We watched the cars drive by and the lights strung from the trees light up. It wasn't too long before the hostess fetched us and led us to the back of the restaurant. Once I was inside, I was shocked at how ... fancy it was. This small, white house from the outside had plush black and purple seating areas and gorgeous art decorating the walls. To the right were chalkboards descending from the ceiling by wire that stated what the specials were. our waitress took our drink orders and handed us menus. I ordered a green salad first. It had romaine lettuce, spinach, tomatoes, fresh chunks of mozzarella and almonds all topped with a shallot vinaigrette. The veggies were all super fresh and crisp. The mozzarella tasted like it was straight out of Italy, and the vinaigrette was the best vinaigrette I've tasted. It was tangy, but light and went perfectly with the salad. It wasn't overpowering - I ate every last lettuce leaf. For pizza, Brittany and I split a large pie. For my half, I got the margherita: their red sauce with spinach, kalmata olives, shrimp and mozzarella cheese. Brittany ordered the shrimp and sausage: oven-roasted tomatoes, shrimp, sausage, goat cheese and mozzarella. When I bit into my slice, I was surprised at the genuine red sauce. It was delicious. A tad bit sweet, but marinara, tomato-y and like I could pour it on any pasta dish. Shrimp on a pizza was new to me, but I dug in and it tasted great! The dough isn't overpowering - it's very thin and homemade, for sure. So the shrimp was a nice accent, and the ingredients blended together seamlessly. Brittany loves her pizza - it's a little heavy on the meat for me. Sausage isn't necessarily my thing, but it was tasty regardless. The meat was balanced with the goat cheese, which was strong. For dessert, we split a coconut creme brulee. This delicate dessert was deep, and the topping was sugary and brittle, as it should be. The coconut was very, very faint. But it gave it a really creamy, whipped texture that was absolutely divine. There wasn't a bad part about this meal. It was delicious. You pay for the excellent service and superb food, but it's worth it. Tricky Fish - what an interesting name for a restaurant. This is a sister restaurant to Bluegrass Kitchen, which I appreciated. This would be an interesting trip, I thought. Melanie, now a local in Charleston, ushered me through the back door, past the bar and up to the front of the restaurant, where you order at the counter. If I wasn't with somebody who knew what they were doing, this experience could have gone awry quickly. But the woman behind the counter was very mellow and friendly. I looked over the chalkboard menu to my right as Melanie and I pondered what we'd order for drinks first. I went for the Tricky Punch - sounds like something I'd like. We then grabbed menus from the counter and found some seats while we waited for our drinks. The interior reminds me of a hippie, eclectic, vegan place. The chairs were heavy cast iron, and the table was made out of large, unique blue and white tiles. On the walls were random drawings, and a few colorful art pieces decorated the rest of the area. The front looked as though it had a large deck for people to dine, but it was entirely too hot this day. The waitress brought over our drinks. Mine was served pink in a large, nondescript glass. I could taste the alcohol in it, but it wasn't overpowering. I studied the menu fairly closely. Their fish tacos seemed to be popular, but I wasn't feeling it. I opted to go for the crab cake sandwich with a side of hushpuppies. The sandwich had a toothpick in the middle, topped with a sweet pickle. I ate the pickle and plucked the toothpick out. I bit into the sandwich, but only got a taste of the bready kaiser roll. Second try: I bit again, but was the sandwich really this bland? I was a little disappointed. I poured some of the "spicy Tricky sauce" on the sandwich, which definitely gave it some flavor. The crab cake was fairly loose, and the lettuce and tomato were falling out, but I was determined to make this sandwich work. But I wasn't really impressed. The seasoning was a little dull for me, and the tricky sauce added a kick (their version of a remoulade sauce), but not enough to save it overall. Maybe had the outside been a little crispy or some spices really stood out, I'd be more impressed. It was okay overall - I finished it, but it probably wouldn't receive higher than a C for me. The hushpuppies blew me away. They were the best hushpuppies I've ever had, hands down. They came with a mashed honey butter, which had the consistency of a sticky applesauce. It was amazing. It only came with a handful, so of course I would've liked more. But once my dining buddies tried one, Brittany had to order another whole basket for the table - they were that good. The seasoning is spot on, the outside is crispy and the inside is warm and fluffy. The sauce is sweet and buttery and warm. If you're here, be sure to try the hushpuppies if nothing else. Dare I say it? This was my first farmers' market experience. And, I loved it! Brittany's mom, Liz, took me to the Capitol Market. What's cool about this is that they have a whole outdoor area, with most vegetables and fruits. But there is an enclosed are that includes a butchery, a cheese station, a chocolatier, wine, a restaurant, a WV products area, and a fresh seafood station! I was supposed to have lunch soon, but I was starving. I had heard people rave about the fresh seafood station inside the Capitol Market - The Fresh Seafood Company. And though you could buy fresh fish, they had a whole menu and a seating area for people to get a bite to eat. The tables were pretty full, so I was intrigued. This little area also had a sign about their famous big fish sandwich. I'm kind of a sucker for fish sandwiches, so this place had me. I walked up to the counter and told the man, Tony, I wanted something light. He pointed to the menu at "1/2 sandwich, small clam chowder." Eh, clam chowder? Liz had been raving about their clam chowder when she described the place, so I thought why not. We waited for our order at our small aluminum table, but it was out before I knew it. My sandwich and soup both came in a styrofoam box - perfect for transportation. I opened it and was genuinely surprised at the "1/2 sandwich." This sandwich was big enough for the typical meal, so if it's only one-half, then the whole must be, indeed, quite big. The croissant the fish was sandwiched between was new to me, but it was perfect. It was light and butter and let the fish stand out. Crispy and peppery coating on the outside and flaky inside, the fish was delicious. I also got the tartar sauce, which was fantastic - not too heavy on the relish like many places. It as more mayo-based, and I think, very good. I was much more hesitant about the clam chowder. I've never had a clam chowder I've liked - I'm not a huge fan of clams in general. I ate about half of it. The taste was fine, but when I'd get a chunk of slimey clam, it was hard for me to stomach. To clam chowder lovers, though, this is great. And I really would've eaten the whole bowl, had it not been for the clams. It was creamy and the seasoning was good. For under $10, this seems like it could be a weekend tradition for families - shopping at the farmers' market and stopping by to see Tony for lunch. I'd like to make it a tradition, anyhow. Hi all. I have some great news. For those who have been keeping up with my blog, you know I've been doing this for a few months now. Well, DubVmenus has seen my stuff and asked if I'd like to join their team as the food blogger. What does this mean? Well, it means they're basically going to pay for my meals, and I'll post my blogs to their website, as well as continue updating my personal blog. Check that website out here. If you read already, please continue to do so. If you have a Tumblr, follow DubVmenus so you can get my updates right to your dashboard. The great thing about this is I have total freedom - I already changed the title of the blog, the layout and the grading scale. They had a few interns doing it before, but there are only a handful of posts. I'll begin now, with Yama's this upcoming Monday. Because I'll be blogging under their company, though, I'll be able to gain a few more readers and still get to do what I enjoy doing - writing about new restaurants. If you don't have Tumblr, or don't care, this won't affect anything. Except maybe now I will be able to update a little more since my meals won't cost me an arm and a leg each time. It's really amazing how a small hobby can get some attention and get you some place if you really dedicate yourself to it. After dinner, we hopped over to Ellen's Homemade Ice Cream. This small shop has a few places to sit, and from looking at their menu, they also serve lunchtime cuisine - wraps, salads sandwiches. It's right across from Taylor Books, and I was told that I must try their ice cream. Homemade anything tends to be better, and as ice cream is basically my favorite dessert, I figured this couldn't go too wrong. We walk in, and the ordering area is to the left. I didn't see any to-go menus, so I was forced to use the large chalkboard menu on the far wall behind the register. I get that it's a cool little homemade ice cream shop, but I really hate menus that hand behind the clerk's head because while the clerk stares at me, I have to stare at the menu until I've decided what I want. So, I quickly picked two types that I wanted to try: Heath ice cream and raspberry sherbet. I simply asked for one scoop each, in a cup, so I could test them out. I was shocked when the total came to $8. For two scoops of ice cream? Plus, they charge 5% extra if you use a card. This place was getting low marks from me very quickly. My two scoops are on the edges. We sat down at a table to feast on our sweets. I first tried the raspberry sherbet. I feel like there are two kinds of raspberry flavored things you can get: the one that is vibrant and full of flavor, and the one that is lacking and not as great - like dark chocolate. This fell into the latter. It wasn't bad, but I wouldn't choose it again. I left that one and started on the Heath ice cream. For those who don't know, Heath bars are chocolate and toffee and oh so yummy. This ice cream scoop did not disappoint. I'm glad I got two, because my review could have been very skewed. The Heath ice cream was creamy vanilla bean flavored with chunks of chocolate-covered toffee mixed throughout. It was exactly what I was hoping for, and the vanilla base was exquisite. A cone would have been even better. After having pizza for lunch, Brittany and I decided to spice it up and try some sushi for dinner. On a recommendation, I decided to try Ichiban. The parking for this restaurant was a little more hazardous, and that was multiplied by the torrential downpour that we were swimming in to get to the restaurant. As soon as we got there, though, there was a place for our umbrellas and we tried to catch our breath. The tiny restaurant was packed - mostly by people in lavish outfits and perfectly placed hair. We opted to sit at the sushi bar - a good decision considering the small tiny area was packed, and I'd rather not eat with a stranger who just happens to be basically sitting at my table. It seemed pretty standard - we placed our drink orders with the lovely waitress and opened both the regular menu and the sushi ordering sheet. I decided the prices were too high for me to order a lot, so I stuck to the sushi ordering sheet. I was kind of surprised when I saw that many of the sushi rolls contained eel or eel sauce. That's not something I'm used to. I admit it - I go for the more Americanized sushi rolls. They're excellent, though, and I do venture outside of my comfort zone, but I can't deny the deliciousness that is crab. I decided to try two different rolls: Archie Maki, with avocado, crab, crunch and sesame seeds; and the Crunch Maki, with crunch, crab, smelt roe, and mayo. What I didn't realize is that I essentially ordered one roll with crab, avocado and crunchies, and another roll with crab, and crunchies. I was under the impression these two would be different. Anyway, we waited for a little bit, but it was neat to see the sushi chef making sushi right in front of me.When he finished making ours, he asked if that was all we ordered. I said yes, and he went to hand it to me, but the waitress came over and took it from him to hand to me. It was pretty awkward, and I really wouldn't have minded taking it directly from the chef. Anyway, I was handed a long plate with six rolls on each end. I was a little disappointed once I realized they were essentially the same roll. But, I shoved the first one in my mouth. The first thing I noticed - they are warm. Warm sushi? This was a first. I assumed maybe because of the crunchies, but it was weird to have warm avocado and warm crab. The crunchies were also very bland, not a crunchy, tasty tempura, but more like I was chewing on tiny bits of cardboard. I was disappointed, and I looked to Brittany. She said she also found it strange that her rolls were warm - not normal for Ichiban. Maybe I set my hopes too high for this place, but this sushi didn't impress me. It wasn't bad, but I was hoping for some really vibrant flavors. Guess I'll have to go for something else next time. Luckily, the rolls themselves were fairly cheap (I didn't go for the fancy raw fish), so I wasn't out much. But I want to try again in the future. I took a trip to Charleston this weekend to see good friends Brittany and Melanie. I left directly after work on Friday, so as soon as I arrived in Charleston, I was starving. I already knew which places was No. 1 on my list to try: Pies & Pints. This place is a known landmark in Charleston. I believe it started in Fayetteville, and Charleston is their second location. As the name states, this place specializes in brews and pizzas. 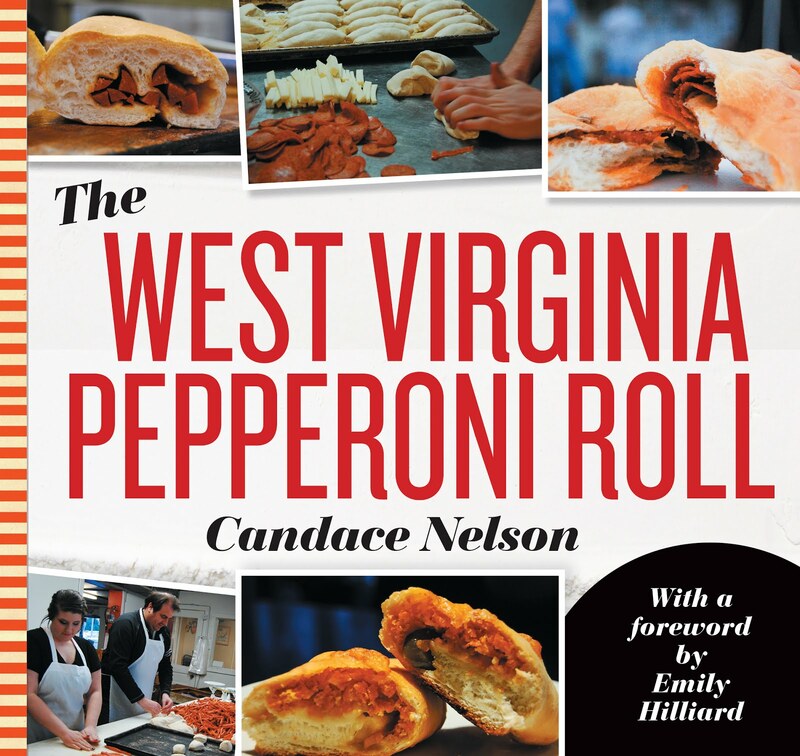 Their slogan "Handcrafted West Virginia pizza" says why they're the best - the crust is handmade, the ingredients are fresh, and the flavors are unique. I've heard tons of great things about this place, so I was really excited to try. The outside of the building is a vibrant green color. When you walk in, the bar is directly in front, and you walk along a narrow way with barstools to the right, to get back to the dining area. There is a long, comfy bench that wraps around with a chair on the opposite side. When we sat down, I instantly felt a very cool vibe. The restaurant is filled with cool, bold colors, like black, red and green. When I looked up, there was exposed piping, which lent itself to this relaxing industrial environment. The host was very pleasant as he showed us to our seats. The waiter soon followed with menus. The pizzas are unlike anything I've seen before. They aren't the typical cheese, pepperoni pies you'd see in a typical Morgantown establishment. No, these pizzas boast shrimp, kalamata olives, coconut and black beans. Small pizzas were 10", so we each ordered our own. I chose the "Chicken Gouda Pie," which had marinated grilled chicken, bacon, smoked gouda, red onions, chipotle crema and scallions. It was simply delicious. The ingredients were super fresh and good quality. The chipotle sauce had just the perfect amount of kick to accent the delicious, creamy gouda cheese and salty bacon. I ate the entire pie. And, I didn't regret it one bit. Brittany asked the waiter if the "Mediterranean Shrimp Pie," (shrimp, artichoke hearts, kalamata olives, fresh garlic, lemon & herbs) was good. He said he wasn't a fan, but she ordered it anyway. When it came out, she told the waiter it was too salty. He actually gave her a menu to order a different one, and remade her an entire pizza himself. She chose the "Margherita Pie" with fresh mozzarella, tomato sauce, fresh basil, parmesan and fresh garlic this time. She was pleased. I had a slice as well, and I was also happy. It tasted like an authentic Italian pizza.The ingredients were fresh and were given room to shine. It was a tasty pie. I am not the type of person to ever send back a meal. I simply wasn't raised that way. But the waiter was more than accommodating to Brittany's tastes, and he earned major points by being so gracious. The customer service here is some of the best I've ever seen, and the pizzas were amazing. I can't wait to go back, and maybe I'll get to try the Fayetteville location at some point. For $13 for a delicious pie, you can't go wrong.